Our Rotunda features murals by artists Paul Laune and Pat “Kemoha” Patterson. Kemoha’s murals show the lifestyle of Northwest Oklahoma Native Americans. 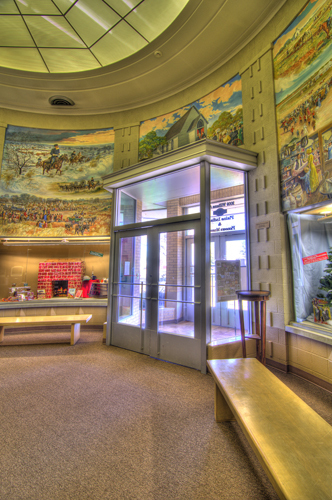 Paul Laune’s murals trace the settlement of non-native pioneers in Northwest Oklahoma.